Star Wars Episode IX is less than two years away. Given that Star Wars: Episode VIII The Last Jedi still hasn't hit theaters yet, it's easy to overlook that fact. One person who, I'm sure, that fact is not lost on, however, is director Colin Trevorrow. 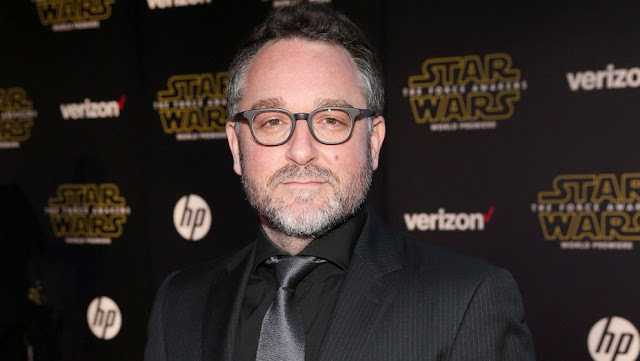 Trevorrow will directing the final installment of the sequel trilogy, taking over from his predecessors JJ Abrams (The Force Awakens) and Rian Johnson (The Last Jedi). Trevorrow is currently promoting the release of his upcoming movie The Book of Henry and, of course, everyone is asking him about Star Wars. In an interview with Fandango, Trevorrow gave a brief update on the film. "I felt like on Safety Not Guaranteed, because it was kind of disguised as a mumblecore movie, I brought a different kind of sensibility into Jurassic World then I think I will bring into Star Wars: Episode IX The Book of Henry is much more of a rich family drama, which is not dissimilar from Star Wars. I think having to force myself to confront my own fears as a parent, and really dig into places that I may otherwise not want to dig into and want to look away from. It's where I have to go with [Star Wars] for it to be as emotionally resonate as it has to be. I have to find something deeply personal for myself in what I'm about to do or else it's just going to feel shallow." "It's how it was with us [growing up]. Luke Skywalker, Han Solo and Princess Leia were all characters that we were able to identify with in various ways, and especially with the character of Rey and what she means to young girls right now, and the challenges that she's up against. It is extremely crucial that I understand what actual children are feeling about these stories that we're telling them, and I think it's important that I have kids, and if filmmakers don't have kids, they should go talk to them because they don't see things the same way that we did when we were kids. So, yes, I am very dialed in to that because I think it's a requisite of the job." Star Wars Episode IX hits theaters on May 24, 2019.